Before our son came into the world, my husband and I lived married and childless for five years. As perhaps you've read, that wasn't exactly our plan, but it was God's. 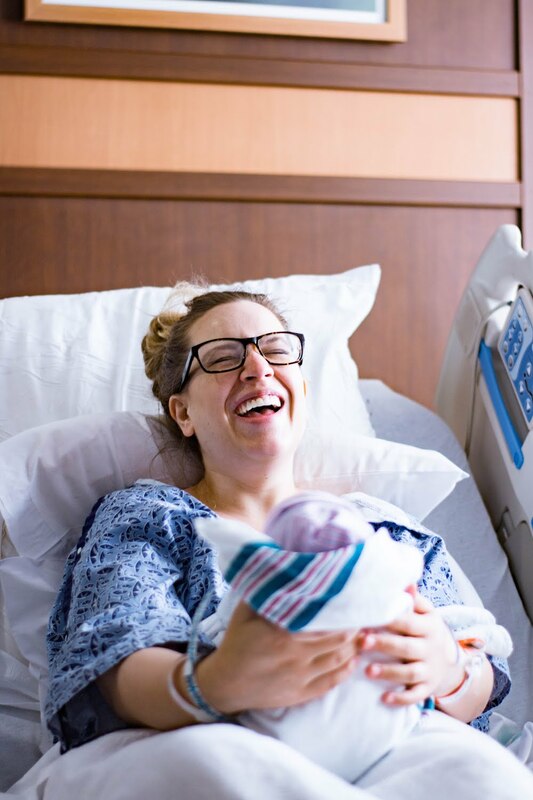 The timing ended up (per usual) being just right, and we are now overjoyed to have our little boy, especially with all the waiting and sadness we had to endure in the years leading up to his arrival. To be honest, sometimes I wonder if it's our particular set of experiences that have made the transition to "married with kids" a little sweeter for us. When you're newlyweds or just married without kids you hear so much of the typical, "Enjoy this time! You won't be able to do (fill in the blank with just about ANYTHING) once kids come along!" Sure, some of these comments are well-meaning. They come from people who might see you in a stage of life that is so far behind them, that they think back on it admiringly. 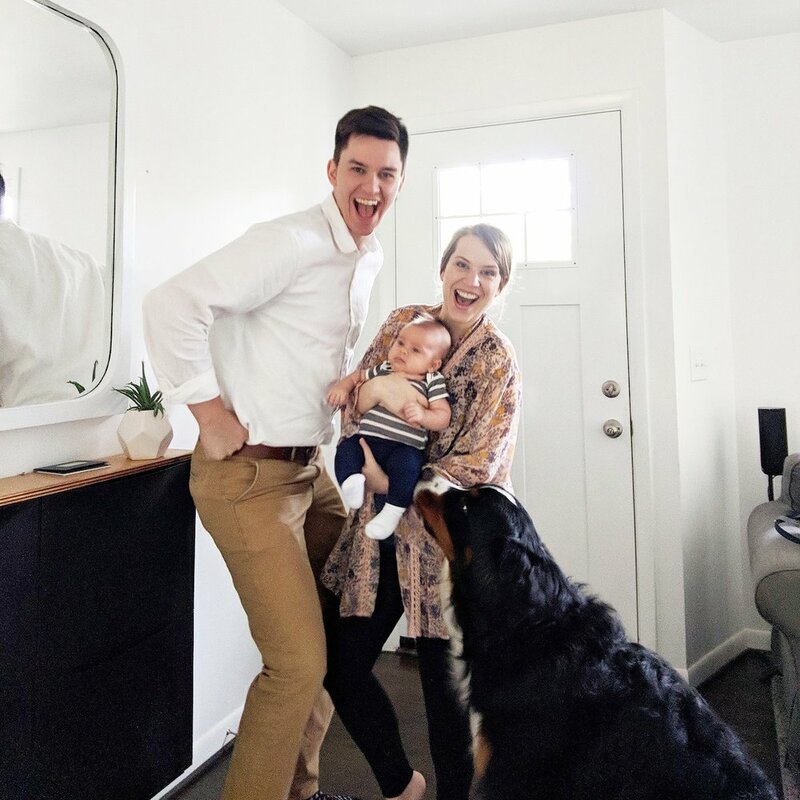 But just like my most popular marriage post (read it here), the amount of wompy comments you hear before bringing a child into the world is sort of dismal. It looks like two bleary-eyed 20-somethings who DO sometimes miss their sleep and wonder if they appreciated it enough in years past. It looks like sharing the responsibilities of caring for a little human. Giving one another breaks from the pressure of caring for a baby 24/7. Championing wake and nap time so momma can shower in the evening, or so someone can cook dinner, or just plain spend time doing nothing at all. 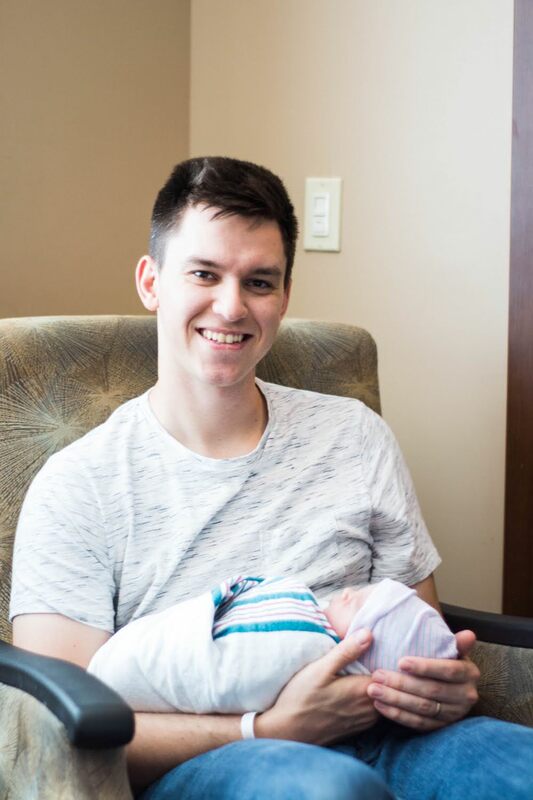 It looks like a husband, who really did not have any idea what a newborn is like. That they don't really acknowledge you, and basically just emit cries for needs that you seemingly cannot meet (ie. feeding)... until the day that little alien actually DOES acknowledge him and he melts into a puddle. It looks like a husband who finds new ways to contribute to caring for his child, by caring for his wife with big breakfasts and heaps of coffee at her bedside. EVERY morning. It looks like a wife who musters up the time and energy at the end of a long day of shushing, rocking, feeding, cleaning, bouncing, shopping, dog duties, and everything else, to nuzzle up to her husband and scratch his back and talk all about him instead of the baby. It looks like new versions of the same people. The excitement in meeting the "dad" or "mom" version of your spouse. It looks like bonding over yet another beautiful thing. Only this time, it's 100x greater than your bond over food, wine, furniture, sense of humor, or whatever else. It looks like grace being doled out when schedules get messed up or things get overlooked. It looks like teamwork just to get through another sleepless night. It looks like two parents who, when morning breaks, forget the frustration of the night before when two eyes that look like daddy's gaze up at you admiringly, and two perfect lips that look like mommy's curl up into a massive smile to greet the day. The troubles of the night just melt away in a matter of seconds. It looks like a heart that was full, has somehow expanded for this precious new person. As if you clearly must have been the Grinch before this moment. It sounds like a lot of "Well, we can't do that at 5:00, because that lines up with a feed, and then he needs a bath, and..."
It looks like cancelled plans and "Sorry, we had a rough night. We won't make it." It looks like burp cloths in every room, baby toys and gadgets strewn across the house, and the smell of spit-up on your clothes. Gone are the days of freshly dusted surfaces and matching decor... at least for this season in life. It looks like early mornings and long nights, but short weeks and months. It looks like pride in seeing your baby grabbing toys, have healthy poops, roll over, laugh for the first time, talk in gibberish, learn to sit-up, stand-up, walk, etc... because YOU get to be the ones who witness it. It looks like a date night on the couch when baby is down for bed, but with a video monitor on the coffee table next to the glass of wine and bowl of ice cream... while you pass out watching the monitor instead of the movie. It looks like fun weekends exploring new places as a family, instead of as a couple. Finally. It looks like a knowing smile at one another that says, "I'm glad this is us now" as you watch other families enjoy a day. Because that glance between you used to communicate sadness and pain... wishing it was you with the baby. It looks like baby snuggles and the way your spouse looks at you while you hold their child. It looks like ... happiness, contentedness, peace, and love. Marriage with a baby looks like love extended. It looks like God's most precious gift. It is without a doubt, the happiest time in our marriage thus far. We're more tired than we've ever been, but we also feel more blessed than ever before. Parenthood is something we are both so excited to be a part of. It has opened us up to not only the obvious love we have for Silas, but a new and deeper love for one another. Don't be afraid when it's your turn, friends. You might get the jitters in the final weeks of pregnancy when the reality hits you that life will never be the same again... but take it from me, in no time at all, you won't be able to imagine life without your baby in it. Your "old" life is there, but something wonderful is simply being added to it. And believe me, nothing will make you fall more in love with your spouse, than seeing them as a parent to your child. ...it looks a lot like a family.